Why not consider Beauty Clinic Mediheal Ampoule and Essential Mask Range? They have different masks for different types of skin/purposes! Collagen Infusion Essential Mask contains Marine Collagen, Marine Elastine and Vitamin E, which help to improve elasticity and firmness in the skin. It also smoothens and softens skin texture, resulting in firmer and younger-looking skin. It also helps to rejuvenate and nourish the skin that might be dulled from exposure to the sun and harsh external conditions. I.P.L LightMax Ampoule Mask contains Vitamin C-AA2G, Arbutin and Mulberry bark that mimics intense perfection light Dermatologists use to brighten the skin. Effectively lightens the appearance of dark spots due to pigmentation and frequent exposure of the sun and evens skin tone. Happy Mummy with her early mother's day present! For mummy dearest who spent most of her life giving the best for you, now it is time to give the best back to her! 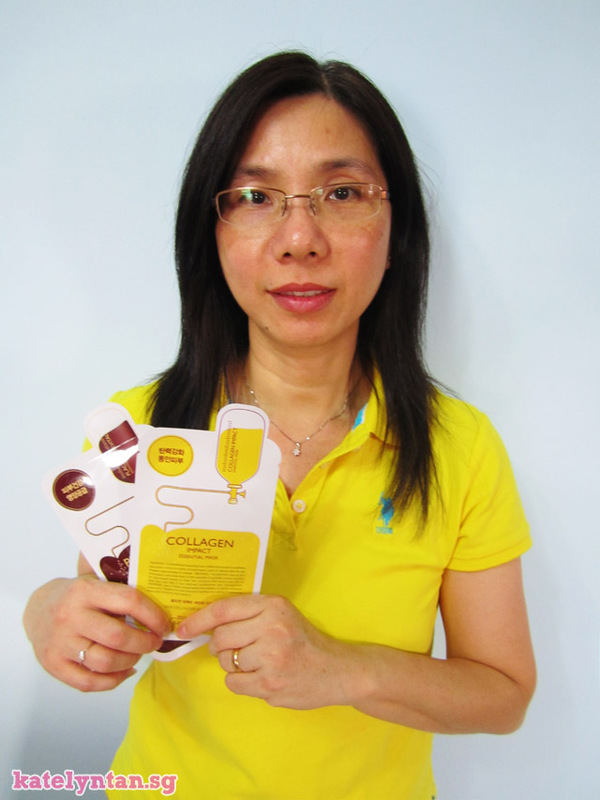 Help her feel young and beautiful again with the best pairing for revived and rejuvenated skin. Use the two on alternate days for enjoyable treatments that smoothens and softens skin texture as well as firms the skin so you can feel energized everyday. Combining Placenta Revital Essential Mask and Collagen Impact Essential Mask help maturing skin to be lifted and richly nourished for it to revived to a healthy, radiance! Mummy dearest deserves to be pampered and look beautiful, just like you too. Happy Grandma with her early mother's day present! For city ladies (in this case, my pretty grandma) who are too busy to make time down to salons or spas, Beauty Clinic Mediheal masks are your savers for your skin. As city ladies, you suffer from the effects of the strong tropical sun (yes, even indoors) leading to unsightly spots forming on the skin that is troublesome to conceal. The daily stress from work as well as bad weather conditions also leads to undernourished, sagging skin and fine lines. 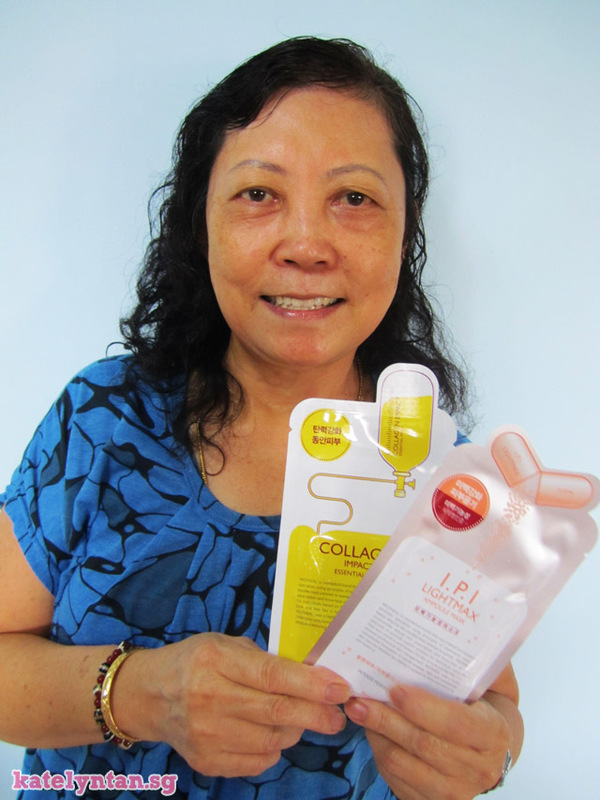 Combining I.P.L LightMax Ampoule Mask and Collagen Impact Essential Mask help you to even out skin pigmentation from the nasty sunlight as well as keep your skin supple even from the stress of daily work. Enjoy the difference, and look like a bright city lady that your bosses and colleagues love working with! every mother's day I will give presents to both my mummy and maternal grandma! I felt this masks were suitable for her too. Not that she is stressed from work. But she doesn't really visit salons or spas unless someone brings her to one. So all the info above were mainly from the press release. for my own mum's and grandma's review! 1. Look at how well soaked the masks were! 2. Thin mask - paper thin technology! Made with high quality Ultra thin Silk Cellulose material, Beauty Clinic Mediheal masks fits like second skin. This means the essential ingredients get absorbed quickly into the skin so nothing gets wasted. 3. It's non-sticky and non-messy! The solution was more like a liquid. And it's a liquid-texture that will not drip around. That's if I want to be super picky and write a con. But I think no hooks also okay cause usually we lie on the bed when we use masks! That's all for this review. It's gonna be Mother's Day soon! Gifts always make people happier.